President of the Penal/Debe Chamber of Commerce Rampersad Sieuraj. These were the sentiments expressed by president of the Penal/Debe Chamber Rampersad Sieuraj at his organisation's Christmas dinner last Saturday at Achievors Conference Centre, San Fernando. The statements came hours after a Penal family, including two children, were kidnapped. The family, Aaron Sooknanan, 28, his Venezuelan-born wife Paola Sanchez-Sooknanan, 26, and their children, Ricardo, five and Isabella, three, were rescued by police without any ransom being paid. Underscoring that the doom-and-gloom sentiments were not the norm for such an occasion, Sieuraj craved the indulgence of his audience as he vowed to speak on their behalf. “We are prisoners in our own homes. Our businesses shut doors as soon as it's dark. We are at the mercy of criminals. The buck stops with the Prime Minister,” Sieuraj said. Gold and silver President's Medal winners for their performance at CSEC Cassandra Khan and Joshua Mohan, of Naparima Girls' High School and Naparima College, were honoured by the chamber on Saturday night. Speaking about inequality of treatment of people in his community, Sieuraj compared government's response to the people of Greenvale, who suffered millions in flood damage,with the response to the people in his community who are yet to receive assistance. Recalling the flood fraud which resulted from cheques being issued for false claims, the chamber head said anyone in breach of the law must be prosecuted. including “the big businessmen who divert natural watercourses, backfill land, build box drains where drains and rivers flowed.” He questioned the ability of such people to get Town and Country approval. Sieuraj also did a comparative analysis between Penal Debe, which has a population of over 90,000 and Tobago, which has significantly fewer, to underscore the disparity in budget allocation. He said Tobago gets an annual allocation of billions, but Penal/Debe gets $70-75 million. “What it is about Tobago that Penal/Debe is not deserving of?’ he asked the audience, which included guest speaker Dianne Hadad, executive member of the Tobago chamber. “Apart from that (allocation), all major infrastructural work, water, electricity, roads, hospitals are undertaken by central government. The government in its 2018/2019 budget presentation also indicated that Tobago is to be given borrowing limits guaranteed by central government. What Tobago wants, Tobago gets. He dismissed argument that now there oil and gas have been found offshore, Tobago warrants its present allocation. “That’s donkey logic,” he said, pointing out the southwest peninsula was always the oil engine and driver of the TT economy and never got that kind of allocation. He sympathised with the former workers of Petrotrin who are on the breadline after the company closed its doors last Friday. 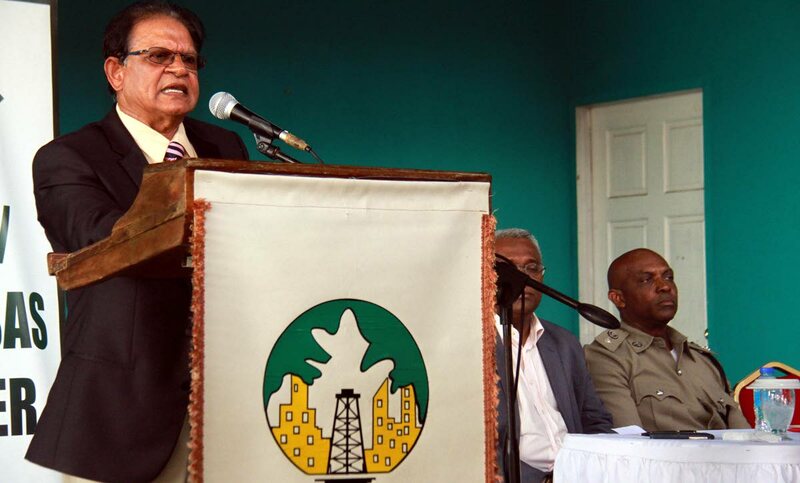 Demanding an equal share of the $50 billion annual pie, Sieuraj pleaded with government to complete the University of the West Indies Debe campus and the Parvati Girls', Shiva Boys' and Ramai Trace Hindu schools, as well as the Penal fire station. Reply to "Crime, corruption, flooding affecting Penal/Debe business"